This square shaped cigarette bin is ideal for outdoor smoking areas, featuring a removable top with an easy to empty fire-safe inner bin. Finished to a high standard in a hard-wearing combination of powdercoated black and polished stainless steel. 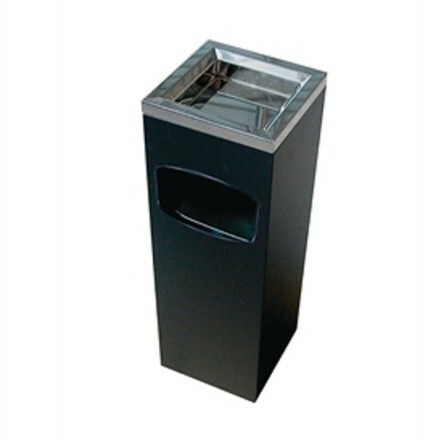 A perfect mobile and flexible cigarette waste solution. Robust - Hard-wearing combination of powdercoated black and polished stainless steel.